Even single persons need at least enough life insurance to cover the costs of personal debts, medical and funeral bills. If you are uninsured, you may leave a legacy of unpaid expenses for your family or executor to deal with. Plus, this can be a good way for low-income singles to leave a legacy to a favorite charity or other cause. And also you are insuring while you are INSURABLE!! Understand that if you get diagnosed with high blood pressure, depression, diabetes, cancer and many, many other medical issues you may become super expensive to insure or just completely UNINSURABLE!!! 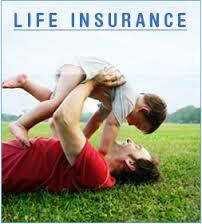 The best time to get into a life insurance policy is when you are young. Educated parents are buying policies on their children (Universal or Whole Life) $25,000 – $100,000 just so the kids have insurance that can’t be taken away from them if they diagnosed with any issue or get seriously injured or start taking anti-depressants, or start smoking, sky diving, base jumping, etc. There are many reasons for young, single independent people to make the investment today. Get in touch with a professional you trust to advise you in this area of your life. If you don’t have someone you trust, I can get you many references on the fact you can trust Feuling Insurance Group to professionally advise you on what is best for you in your specific circumstances and assist you in attaining that policy. When you do things online, it is well known that people make mistakes, don’t get the right coverage, get too little coverage, get too much coverage and end up dropping policy because of premium, etc. CALL OR EMAIL US TODAY!! Is the claim you’re about to file worth the price you will pay for 3-5 years and possibly longer if you have to file another more legitimate claim? That nasty hole in your fence from a downed tree may make you cringe, but it won’t be nearly as revolting as the hike in your insurance bill if you make a claim on it. That’s particularly true if you live in states like Minnesota, Connecticut and Maryland, where a single homeowner’s claim can up an annual premium some 20%. That’s right, a $1,000 claim can lead to years of higher premiums. Let’s put it this way: If you live in Minnesota and pay a $981 average annual premium, you can expect to see your yearly payouts jump to about $1,187 if you submit a claim to fix the fence. That’s a 21% premium hike, the highest in the U.S., according to a recent InsuranceQuotes.com study. After seven years—assuming your claims record is now pristine—you will have shelled out $1,442 extra, or roughly $206 more each year. But what happens if there’s a hailstorm or, worse yet, a hurricane, and you have to make a much bigger and more insurance-appropriate claim? You get another 21% hike on your premium. “That $1,000 is really where you might want to consider a break-even point,” Adams says. And don’t think it’s just the number of claims that are paid out that spike your rates. You can get hit hard with a claim that’s been denied. And even if you just innocently ask your agent about a potential claim, she has a right to open a file when you’re making queries, so make sure the agent knows your question is theoretical. There are a number of factors that influence the costs of your homeowners insurance and much of it is determined by what state you live in, what neighborhood your home is in, and what you want included in your policy. But other issues, like the size of your deductible, your loyalty to the insurer, your credit history and whether you bundled homeowners with auto insurance will play key parts too in most states. And then there’s the house itself. How old it is? Is it a wood-framed house or brick? Is there a pool or a trampoline that are ripe for injuries on the property? Do you have smoke detectors? A burglar alarm? A sprinkler system? What about deadbolts on doors and security devices like wrought-iron bars on windows? Rates across the U.S. are as varied as a bowl of mixed nuts. That’s partly why the hike on a claim can be so high in states like Maryland or Illinois. In the Old Line state, the average annual premium is $784, according to the National Association of Insurance Commissioners. At 19%, it is one of the top three percentage jumps that InsuranceQuotes.com found. (The No. 2 spot belongs to Connecticut at 21%.) In the Land of Lincoln, the average yearly nut is $793 while the percentage increase is 15%. These would be considered relatively low premiums because, for the most part, they’re in areas of relatively low levels of risk. On the flip side, Louisiana and Florida—magnets for major hurricanes and tropical storms—carry hefty annual average premiums that are more than double what some states charge — $1,546 and $1,544, respectively. The average bump after a claim in Louisiana is 7%, and it’s only 2% in the Sunshine State. In Oklahoma, where most of the state falls into Tornado Alley, the premiums average $1,246 and will rise just 5% after a first claim. Here’s another reason why filing insurance claims can backfire: Like credit-ratings firms, insurance companies keep track of your history and judge you accordingly before deciding whether to insure you and how much to charge you. A long history, or even a spotty history, of making claims sends up red flags that you’ll do it again. That could mean you’re a risk that they don’t want to take or that they will begrudgingly handle but at a steep price to you. Insurers turn to the Comprehensive Loss Underwriting Exchange to chart your claim behavior. CLUE, as it’s commonly known in the industry, is a compendium of all the personal auto and personal property claims you’ve made over the last seven years. Insurance companies—every one you’ve ever used—report all claims that they paid out on, that they set up a file for and even those they formally denied. That’s why it’s important to talk hypotheticals with your insurer when you’re asking innocent questions. Again, like your credit report, you can get a free copy of your CLUE report by filling out documents here. Be prepared to make copies of some form of identification and a major bill statement. This is something you want to get your hands on at least once a year to check for accuracy or unrelated information that could inflate your rates. Never file if the claim is bigger than the deductible—mostly because it won’t be covered. Also because you’re putting the claim on your insurance record and it will stay there for at least three years. You should carefully consider the risk-reward profile too if the claim is $1,200 or even $2,000. Make sure you’re covered for the claim. After heavy rains and hurricanes—remember Hurricane Sandy—many homeowners mistakenly think they have flood insurance and file a claim. Traditional homeowners insurance does not cover water damage caused by floods. That’s separate coverage underwritten by the federal government through the National Flood Insurance Program. But guess what? 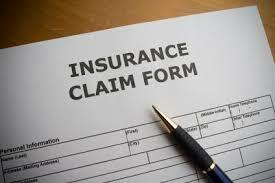 If you file a claim with your insurance company for something that isn’t covered, the claim itself doesn’t go away. Think about the last time you filed a claim. If you’re a consistent claimant, you’re going to get slammed on rates. It isn’t unusual for a homeowner to file up to two claims in a 10-year period, but more than one or two in a three-year time span and the alarm bells go off as a high risk. Don’t submit claims for what is really a home-maintenance project. If the fence is rotting away and you know that one big windstorm will blow it over, budget the household finances for a new fence first. There’s a plus to this too: better maintained homes get better premiums. Why You May Want To Work With An Independent Insurance Agent Rather Than A Captive Agent? There are many reasons why it is far more beneficial to work directly with independent insurance agents. Please keep in mind some of these benefits depend on your agent. In other words, you may have insured with an independent agent at a referral from a friend but this agent doesn’t do any of the things I speak about below. Your agent works for you – it’s like going to a doctor – you don’t just go to any doctor – you go to a doctor that you feel provides great education, takes great care of you and/or your family, provides fair pricing and you get great service. Don’t expect anything less from your insurance agent. Captive – this agent works for one insurance company. Most of these agents work for the companies you see advertised on TV. Is it possible you are overpaying for your insurance to offset the cost of billions of dollars in advertising/marketing monies spent by your insurance company to get more clients. Examples of captive companies are Farmers, State Farm, Geico , Allstate, Liberty Mutual, etc…. INDEPENDENT AGENTS – these agents chose to have the autonomy to be able to examine multiple insurance companies and determine which company is the best fit for their clients based on all kinds of factors (age of driver, accidents, tickets, DUI, zip code, multi-policy, discounts available, year of car, etc.). These agents can shop your policy with multiple carriers and share their results with you. 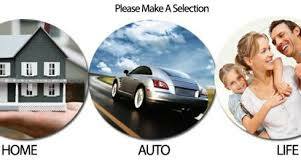 1)You aren’t stuck with one option for insuring as you are with a captive agent. You are held hostage to their rates. 2)Your agent can shop multiple insurance carriers to find the best coverage benefits and best pricing for your specific policy needs and factors. 3)Your agent can hold your hand through the entire process of going through a claim with your auto or home or any type of personal injury. This is far superior to you calling some huge insurance company and getting shifted around from one person to another – rarely talking to the same person more than once. 4)Your agent is one phone call away. If your agent is like me, they will provide you with their phone, text and email so we are easily accessible in any time of need. Need to add a 3rd car on, great text me the VIN # and BOOM – it’s done. 5)Your agent can do annual or bi-annual reviews with you to make sure your insurance needs are up-to-date and even shop you with another insurance company if they discover another company has better rates now in your area or for your type of insurance risk. 6)Your agent will provide you with unbiased advice. When you insure with a captive, they have to convince you that what you have is the best you can get. They have no other choices. 7)Your agent can help you insure other areas of your life than many of the captive agents don’t have access to – maybe you want to add on life insurance or renters policy or business insurance or professional liability insurance (malpractice) or disability insurance. Your independent agent has markets for everything!